Everett Burrell, 20, was charged with vehicular manslaughter in the dead of James Simpson. 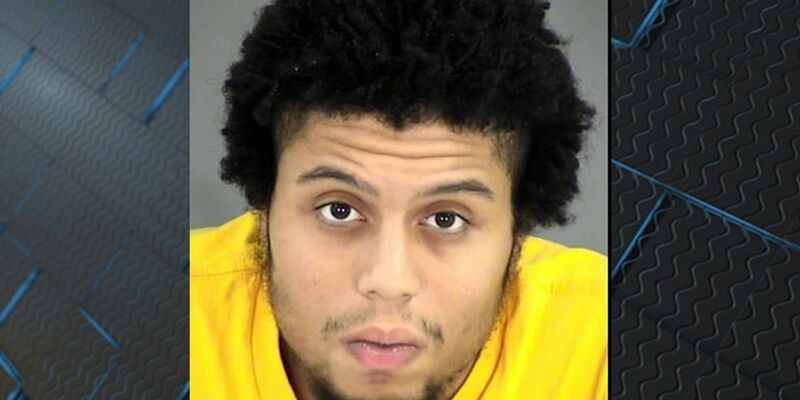 HENRICO, VA (WWBT) - A 20-year-old Henrico County man was been charged with vehicular manslaughter in the Sept. 6 death of 48-year-old James Simpson. Everett Burrell was driving a Hyundai Sonata on Hermitage Road and struck the Chevy Impala Simpson was driving at the intersection of Hermitage and Gibraltar Drive. Simpson was pronounced dead at the scene. A Henrico police officer observed Burrell commit a traffic violation and the crash occurred before a stop could be initiated. Speed and alcohol are considered factors in the crash. Additional charges are pending. Police say as Simpson was turning, he was struck on the driver side. People who live in this neighborhood say speeding is a major problem on Hermitage Road. Frances Wyne has lived off Hermitage Road for 11 years. "These people fly, they don't know what a speed limit is," Wyne said. "This is one treacherous road right here. It's gotten worse over the past couple of years." Wyne says it's so bad that she tells her granddaughters to avoid getting close to the road. "She [Wyne's granddaughter] has a friend who lives just across Hermitage and when she says something about going over to her house I almost have a heart attack," Wyne said. Wyne's heart stopped early Thursday morning, when she and her granddaughters heard a loud boom from down the street. "They were terribly upset with all the commotion police, ambulances," Wyne said. "They were just torn to pieces." Especially after finding out that James Simpson Junior died in that crash and that speed and alcohol were factors. "I lost my grandson to a drunk driver," Wyne said. "It'll be two years in January. I know how the family feels and my deepest sympathies." Wyne says the two issues here on the street are people driving above the 35 mile per hour speed limit and a hill on the street that makes it hard to see drivers turning from Gibralta onto Hermitage. "It's just a sad tragic thing," Wyne said. "I just wish people would slow down."